Dr.Malpani's Blog: When should you move on from IUI to IVF? Often, they get fed up and change their doctor – who ends up repeating the IUI treatment again, just because he is only a gynecologist and does not have the experience or the expertise or the lab facility to offer anything else. Many patients know that they shouldn't be doing IUI at all, and that IVF is the right treatment for them, but because they can't afford to do IVF, they feel – Let’s at least do IUI rather than sit at home and do nothing at all. This makes no sense to me, and there's no point in wasting money on repeated IUI cycles. The truth is that IUI has a success rate of 10% per cycle, and that most patients who are going to get pregnant after IUI will do so in three cycles. If you have done three IUI cycles that have gone well in a good clinic and still not got pregnant, then you've reached the point of diminishing returns, and there’s no point in repeating anymore IUI cycles. Sure, you can continue wasting time, money, and energy on repeating IUI cycles, but actually you'd be better off stopping and thinking about moving on to IVF. 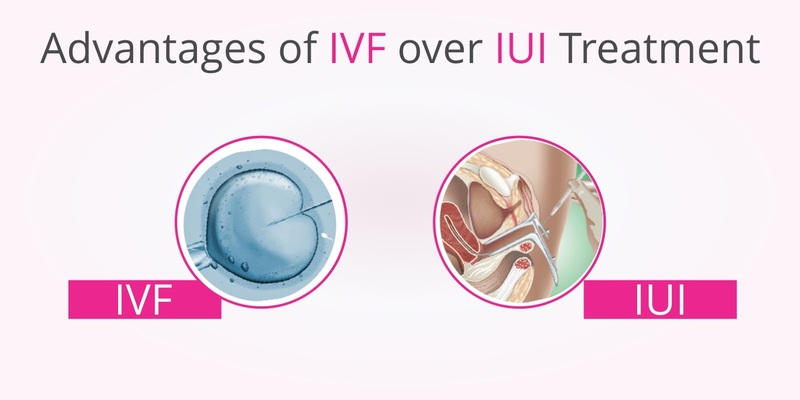 There’s a world of difference in the success rates of IUI and IVF , and IVF is far better because it allows us to make top quality embryos in the IVF lab and then transfer these into your uterus.